In the past I worked as a beauty therapist, specialising in anti-aging so I’m always on the lookout for new skin care products and am particularly interested in Stratum C’s menopause skin care range. 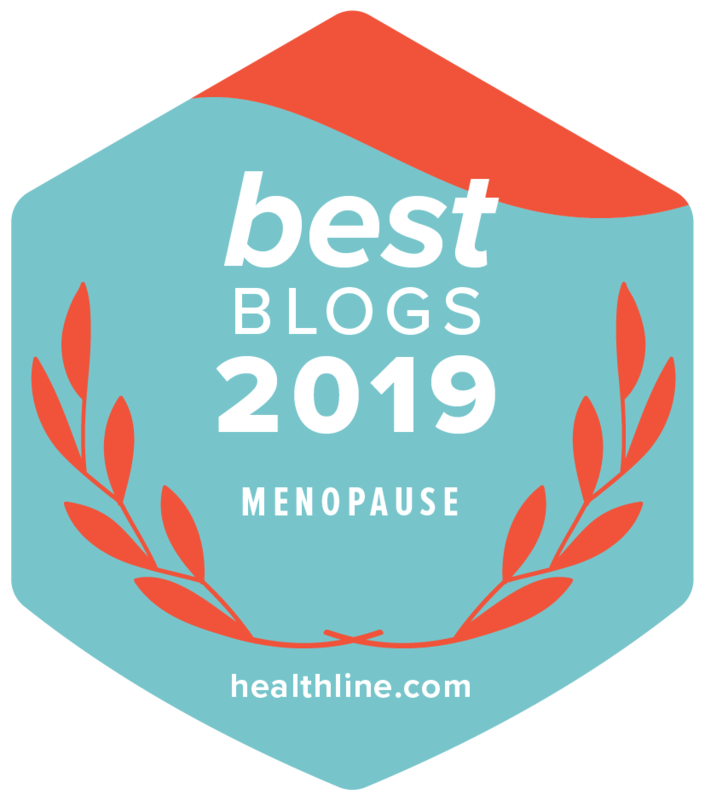 At 51, I’m in the midst of menopause and although I’ve always followed a pretty good skin care regime, the changes at menopause still came as a shock. I receive many emails from women about the effect menopause is having on their skin and how it is affecting their self-esteem. Stratum C, launched in the UK in 2013, has developed a collection of products specifically designed to combat the effects of menopause on the skin. The products are now available in the US. The core products of the Stratum C range are the Stratum C Protect Cream and Repair Serum and I’ve been testing these two products for the last 3 weeks. The products were kindly provided by Stratum C at my request. These core products contain a combination of 6 peptides which include the revolutionary Matrixyl peptides and 4 additional peptides which relax the muscles and tighten the skin using only a topical application. The formulations also use high levels of Hyaluronic Acid to improve hydration and collagen synthesis. 15ml Repair Serum. Intense Seaweed based clear gel with high levels of Hyaluron and wrinkle reducing peptides for intense treatment around the eyes, forehead and problem areas. I like the ‘no frills’ clinical look of the products and packaging. The serum spreads really well and absorbs immediately. You can use this serum around the eye area too although it has not helped my dark circles. I’ll try the eye cream and report back. 50ml Protect Cream. Luxuriant Apricot and Jojoba based moisturiser with Stratum C collagen boosting peptides, rich nutrients to protect the skin and exclusive wrinkle reducing technology. The protect cream spreads well too. about my glowing complexion and that hasn’t happened for a long time! After using both products twice a day for a 3 week period I’m happy to report that my skin feels softer and my lines and wrinkles appear softer too. Whether or not regular use will yield significant lasting results is beyond the scope of this blog post as I have only been using the products for 3 weeks, however, I am convinced enough to continue using the products and I will report back in a few weeks as to whether the improvements are continuing. This range is not cheap, however the company appear to have heavily invested into research and they use high quality ingredients. I promised to come back and update you on the Stratum C Products. I’ve been using these products for over 6 weeks now and I’m happy to report that there has been further improvement. My skin looks much healthier and is noticeably softer than it was before and although I still have my lines they too are noticeably softer. I still have plenty of product left as you don’t need to use very much as it spreads so well. My favourite product of the two is the Stratum C Protect Cream and I would seriously recommend this product if you decide to treat yourself to a menopause skincare product. 120ml Gentle Cleanser. Since menopausal skin is thinner and more sensitive, this Stratum C effective but gentle cleanser includes Rose Hip Oil and Seaweed extract providing natural moisturising qualities and a rich source of Vitamin A and E (which are lost during menopause). 30ml Pigment Correction Gel. By attacking the enzyme in your skin which allows age spots to form, this gel gets to the heart of the problem. Using a breakthrough, natural and scientifically tested combination of ingredients, we can inhibit the effects of age related pigment on both hands and face. 30ml Spot Relief. Stratum C Spot Relief is for use only on the affected area to reduce inflammation and eliminate blemishes overnight while protecting the rest of your skin. By applying the light pink paste directly onto the site of the spot you maximise the effective mixture of Salicylate, Zinc and Sulphur whilst protecting the rest of your skin from harsh cleansers. 12ml Vitality Eye Serum. Using naturally derived peptides extracted from rice, soya and yeast proteins, this serum boosts collagen and stimulates the blood flow around the eye to eliminate dark circles. Combined with Stratum C’s luxuriant anti-ageing ingredients, it will restore your eyes healthy glow, replenish key moisture and reduce existing wrinkles. 120ml Calming Toner. This Aloe Vera based toner uses a unique formula containing Coenzyme Q10, Hyaluron, and botanical extracts to restore moisture, tighten skin, maintain a healthy pH balance and offers powerful anti-oxidant protection from free radicals. 75ml Complete 4 Hand Care. This is the ultimate care package for mature hands providing the essential attributes to protect and rejuvenate in one rich, non-greasy, luxuriant moisturising cream.